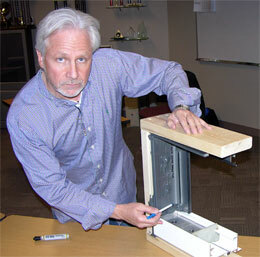 Mark Meshulam is an expert witness and consultant for window, glazing and building exteriors. Sometimes the story behind the story is as interesting as the story itself. Today’s article, our last for 2009, tells the story of ChicagoWindowExpert.com’s growth from nothing on February 1, 2009, to a well-read authority site today. In the tracking of web activity, it’s important to know where the traffic comes from. “Direct traffic” refers to when a visitor finds us by typing our web address into the browser’s address bar. Referring sites are other sites that have links to our site. These include www.GlassMagazine.com and our own www.buildersarch.com. Search engines are dominated by Google, but they also include Yahoo! and the Microsoft’s up and coming Bing search engine. We don’t utilize any paid advertisment. Email blasts we send out to notify subscribers are grouped with “Direct traffic”. Thus, despite our 3500 name subscriber list, Google supplies more than double the traffic than do the email notifications. The quality of the traffic is different, however. Compare the performance of direct and referred traffic, representing about half of our traffic with the other half, that of Google and other search engines. Predictably, these web surfers click their way through web pages faster than other visitors, but nonetheless, they stay quite a long time – almost 2 minutes per visit. The ability of a website to hold the visitor’s attention once they arrive is called “stickiness”. I think it can now be said, we are sticky! Any self-appointed expert in search engine optimization (including myself) will tell you that keywords and phrases are critical in bringing search traffic. Although I don’t obsess about forcing keywords into the text for the purpose of attracting traffic, I do observe all the typical protocols of inserting keywords where not shamelessly obvious. Luckily the content naturally contains keywords that you, our readers, seem to want to know about, so I can spend little or no time stuffing keywords. The inclusion (lower left) seems to swim its way to the very first instance where the fracture branches (at right), creating a beautiful, intricate corner shape. This corner conveys explosiveness and structure all at once. It has a very natural look, yet glass is a man-made material. There is much beauty in this tiny little world.